I stalk other writers. Don’t turn around, I might be there. I want to know how others are doing in their writing careers. Are they succeeding? Are the getting mediocre results? What makes one author excel over another? 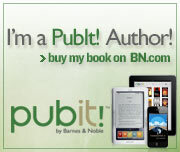 Sometimes I swear whether one author rises to the top or not is some kind of random fluke in the marketing scheme. Of course, that doesn’t stop me from trying to put myself up there also. There is no formula.. not really. However, some avenues yield better results than others. 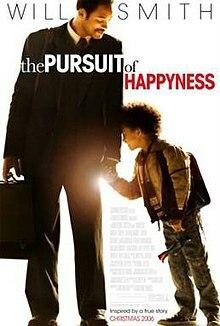 It reminds me of Will Smith (playing Chris Gardner) in The Pursuit of Happyness. He sees someone with the life he wants and wants to know how he too can have it. My struggles are insignificant compared to Chris Gardner, but I want to learn also. I know there’s room at the top, because I see folks squeezing in all the time. I don’t know if that’s envy or not. I don’t exactly want the success of others. 🙂 I’d really just want my own place, with my own fans. I want my name out there! My readers can be your readers also. It’s not like folks are confined to reading just one book. Writes, don’t be afraid, but know this: I’m watching you. I’m taking notes. And I’m learning from you. If you find me lurking in your bushes, don’t call the cops. I imagine it’d be rather difficult to write from a jail cell. Instead, invite me in for a cup of tea and tell me your secrets! Until then, I’ll be pecking away at the keyboard, creating my next masterpiece.